Laser Cataract Surgery Our doctors use the Alcon LenSx® system for more precise treatment and improved results. Diabetic Retinopathy Protect your vision from this progressive disease with aggressive, effective treatment. Macular Degeneration Undergo regular screenings for this leading cause of vision loss in older adults. Our Technology We invest in state-of-the-art systems to provide an exceptional standard of care to our patients. n Eye Facts Learn more about how overall health affects your vision. 4 Meet Our Doctors Explore what sets our team of specialists apart. ( Contact Us Reach out to us to book an appointment today. When it comes to your happiness and quality of life, few thinks are as vital as your eyesight. For this reason, it is important to find a knowledgeable doctor who offers comprehensive, compassionate treatment. Each ophthalmologist and optometrist at EyeCare 20/20 - with offices in Mandeville, Harahan, Slidell, and Franklinton - is committed to providing advanced care in a welcoming environment. We offer a wide variety of treatments - from routine eye exams to care for advanced eye diseases - and we use the latest technology to provide personalized and effective treatment. To learn more about our practice or to schedule your exam, contact our office today. At EyeCare 20/20, we are guided by the principles of science, service, and humility. We are committed to improving your vision through science, using the latest technology and procedures. We promise to serve everyone, inspiring them to live healthy lives through better vision. We vow to honor the science of medicine by adhering to the highest professional and ethical standards. 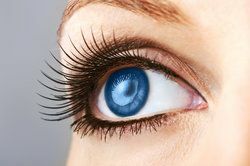 As part of our mission, we provide thorough patient education to make you an active participant in your treatment and to provide you with clear vision for life. When you come to us for eye care, we want you to feel calm and relaxed. We provide a modern, comfortably furnished office. While you wait, you can enjoy complementary coffee and learn more about your treatment with our media service, which streams health news and information about ocular care. Our friendly staff will greet you with a smile and help you feel right at home. We offer a full range of services on-site so that you will not have to go out of your way to receive the care you need. At EyeCare 20/20, our practice is fully equipped with the latest technology. We are the only practice in the state to use a corneal microscope and the Macular Integrity Assessment (MAIA™) test. Our commitment to advanced diagnostic and treatment tools enables us to improve the efficiency of care so that we can treat more patients and keep your costs lower. Additionally, our high standard of care means you need fewer office visits, and you can spend more time pursuing the activities you love. To benefit from our commitment to science, service, and ethics, contact EyeCare 20/20 today.